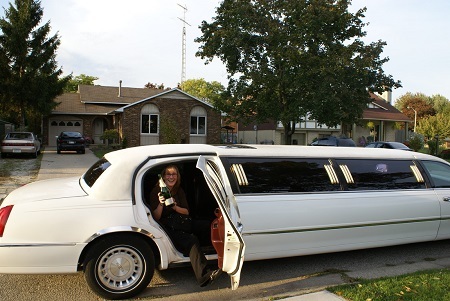 Book WITH THE #1 MONTREAL Limo Company & Limousine Rentals! Montreal's finest limousine provider and limo service company! At Montreal Limos VIP, we are the Leading high-end Limousine service in Montreal providing VIP Montreal limousines servicing all your limo rental needs for all occasions and surrounding areas in Québec. ﻿“We make sure to pamper individuals and groups of all sizes and needs". Whatever your occasion and transportation needs are, we are here to serve you and make your wishes a reality. 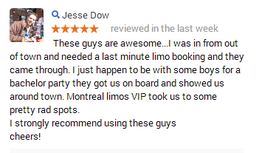 We have been listed in Three Best Rated Business as Top Best Limousine in Montreal! WE ARE THE LEADERS in LIMOUSINE SERVICES IN MONTREAL AND GREATER MONTREAL AREA! We have a large variety of limos to choose from, all of which are the best in the industry to make you feel like a true VIP. Whether you are an "out of towner" or a "Montrealer" and "Quebecor", we provide quality VIP limo service and best prices. 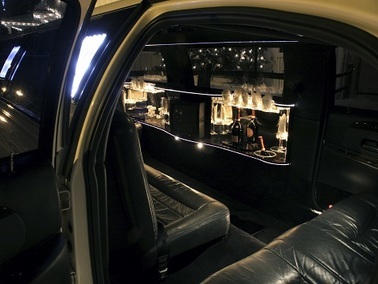 You can select the limousines of your choice and the best limousine ride in Montreal. Whether it be a stretch, SUV, party limo bus luxurious limousines, and much more, we have what you are looking for. 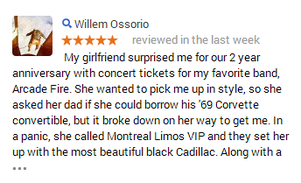 CHECK OUT OUR 5 STAR REVIEWS HERE! ﻿﻿﻿Best in class chauffeurs. At our VIP Limousine company, our drivers are trained to provide you the limos service in the industry and make your ride as comfortable and luxurious as possible. They speak both French and English and pride themselves in the praise they get from all our customers. Our services are the most exclusive and VIP around. We are always on time. Rest assured that this is your day and its all about you. Not only we are there on time, but early, wherever and whenever you need us. There hasn't been a schedule that we have not conquered. We have the best choices, let us be your number one choice. We serve all group sizes and any event. No matter if you are one individual or a large group, our Limo Service Montreal packages make sure to find the right fleet to serve you and any of your group members. Our rental service is flexible. We provide customized services based on your needs. 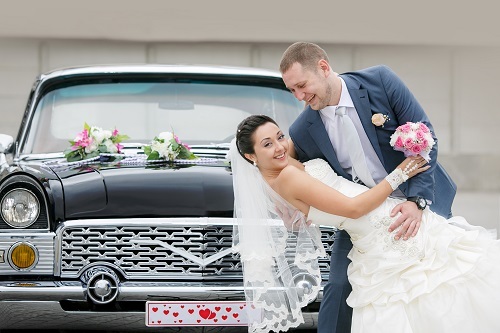 Whether it be a stretch limousine with special decorations, a Montreal wedding limousine with decorative flowers, tour guide, red carpet events, party bus, all you need to do is enjoy the ride and we will take care of the rest. Its about the customer. We understand each customers needs so that we can make sure to provide you with the most enjoyable experience without any worries about the details. VIP Treatment: Our drivers treat each and every customer VIP, that is what we are known for! We want all customers to feel royal. Safe and Clean. All our limos are carefully inspected and cleaned thoroughly each and every time to make sure your ride is safe, reliable and clean. Commitment to Quality. 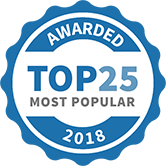 365 days a year, 7 days a week, 24 hours a day, our mission is to always commit to the best and highest standards and this is our promise to you. Competitive rate for all budgets. We have the best and most competitive rates in the industry. We cater to all budget sizes and provide you with the best price possible. Best Service: Our fleet for parties, airport limo and other occasions are the most reliable and trusted versus other limo companies. SIMPLY THE BEST MONTREAL LIMO COMPANY FOR ALL YOUR NEEDS INCLUDING QUEBEC! 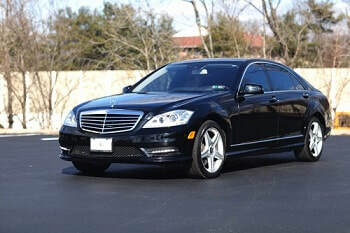 stretch limo Check out our ﻿Fleet ﻿and Services tab on the top of this page to check all services we offer. We are available to answer all your questions and last minute reservation needs. We are available for you 24 hours a day, 7 days a week. 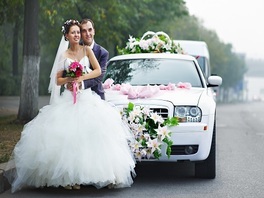 We also offer great competitive prices, packages and large selections of limousines to choose from. 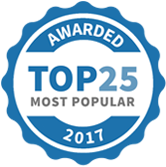 Our service is awarded and have years of satisfied customer service. Whatever your occasion or the event or the group, let us help you make it the most memorable day, let us be the limousine company in Montreal of your choice, contact us now or fill out or instant quote form! 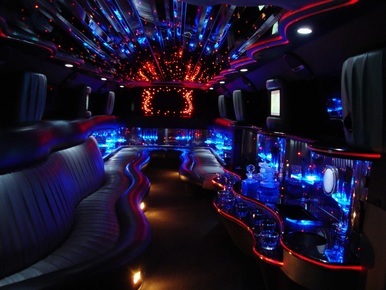 We provide the Best and most Reliable quality Party Buses and Limousine services. 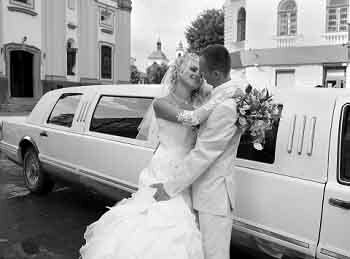 Choosing our company will provide you with the peace of mind that you can trust that special day will be taken care of by our limo service in Montreal packages at the best prices for Montreal limousine rentals. Check us out here. Go to our blog for latest news. Notre agence vous offre la possibilité de choisir entre plusieurs types de limousine Montreal pour vos évènements. Si vous souhaitez faire appel à nous pour un mariage par exemple, nous pouvons vous offrir des limos et véhicules classiques de marque. Vous êtes assurés, non seulement de vivre un moment inoubliable, mais aussi de laisser une impression indélébile auprès de vos convives. Our limo rental services are available in Greater Montreal, Dorval, DDO, Limousine Laval, South Shore, and areas in Quebec and all surrounding regions and check out our fleets as well. 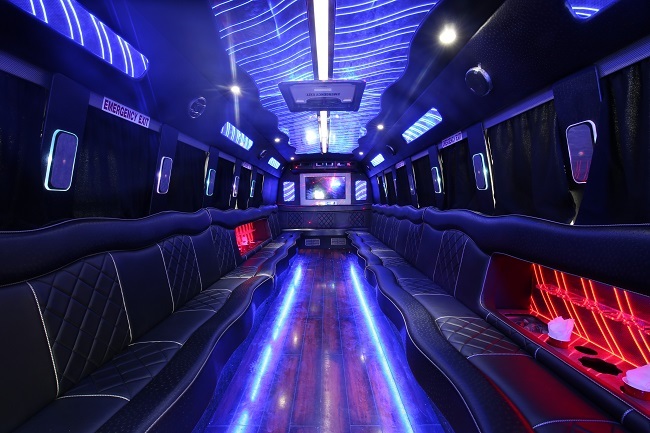 Click here to rent a VIP Limo & Party Bus Toronto!